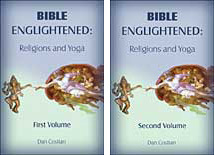 The third and definitive edition, in two volumes, was published in the United States in December 2003 by PublishAmerica and republished by Lulu.com in 2013. 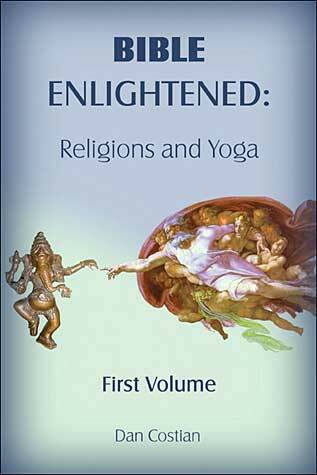 The work introduces the reader to a challenging new perspective, offering a fresh and far-reaching point of view on the mystical side of yoga as compared to world’s religions that explores how Eastern and Western spiritualities support and complete each other. It is based on many years of vast research and travel around the world. The relationship between God and his image reflected in man is explained through the system of subtle centers (chakras) and channels (metaphorically portrayed in the Bible, the Qur’an, the Kabbalistic and Gnostic texts) enlightened by the spiritual energy (Kundalini). Many scientists accept the holistic concept relating man and universe, and even try to prove scientifically the existence of God. The subtle system is usually depicted as tree, menorah, cross, ladder, staff, and multi-story edifices. A hypothesis about the ancestors of the Hebrews coming from India is analyzed in chapters related to the Eden, Flood, vestiges of Moses and Solomon east of Palestine and their connection to the descendants of the “lost tribes of Israel” living in Kashmir. A universal system of divine inspired rules (dharma) lies at the basis of any great religion, the Decalogue being just one example among others. Moses’ miracles, the serpent-staff and brass-fiery serpent could be explained through the Kundalini manifestation depicted as a snake, a spiritual symbol of knowledge and wisdom widespread since Neolithic and Chalcolithic, worshipped in Old European, Egyptian, Hindu, Chinese, Minoan, Greek and pre-Colombian civilizations. The Divine Mother: All the non-Hebrew ancient people worshiped the Goddess. However, a careful analysis reveals her concealed presence all along the Old Testament. In the Bible Enlightened, The Divine Mother in the New Testament has granted a large space dealing with Virgin Mary’s modest place in the Scripture due to Peter and Paul’s misogyny inspiring the Church, and the contrasting position of widespread popular piety devoted to her. The Gnostics revered God the Mother, too. A special section discloses the high respect paid to the Divine Mother in Islam. Last but not least, the Holy Spirit points to the Divine Mother (Goddess) as well. The reader is faced with an exciting question (Did Jesus Live in India?) and confronted with many writings. Holger Kersten (followed by Elizabeth Clare Prophet and others) broadly publicized their investigations on the matter. However, such works might appear amateurish if compared to the erudite works of Khwaja Nazir Ahmad (preceding the former two) or Fida Hassnain and Dahan Levi (posterior to Kersten’s book).